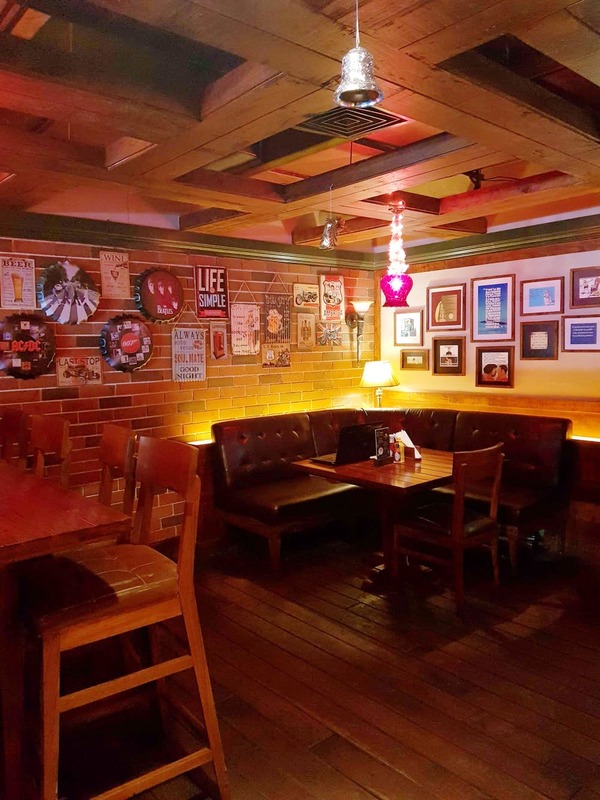 Walk into this expansive pub and brewery at South Point Mall in Gurgaon, and you will feel like you are in a wood-panelled, softly lit British pub, replete with accents resonating a warm, snug vibe which is an intrinsic part of a pub anywhere in Europe. It is a pretty large and well-appointed place, and what I liked most was its all-inclusive feel; there were oldies (our mom had come with us) not-so-old youngsters (me), and even kids on a Saturday afternoon. During the Happy Hours, the drinks are super affordable, and the food is scrumptious and reasonably priced. While a mug of beer costs INR 149, the pitcher is priced at INR 399, and the dispenser costs INR 899. The main course veg costs INR 299, and the non-veg costs INR 349. You can choose anything from the menu, there's Indian and Oriental main course combo. Apart from this, there is pasta and pizza too. Their INR 99 menu is quite a rage with options like crispy corn and more. Oh, and the mix of music from different eras and genres keeps all the age groups happy. So if you are looking for a place where the whole family can congregate over delicious food, drinks, and music on a leisurely Saturday or Sunday afternoon, then this is where you should be.